Hey, Did You Hear? There’s a New Soundgarden Album Coming Soon! 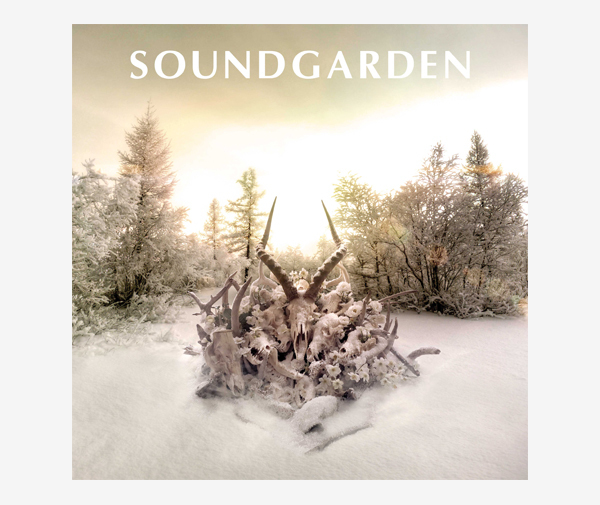 Iconic Seattle grunge/rock/metal band Soundgarden plans to release King Animal, their first new studio album in over 15 years, on November 13th, 2012! The band had pretty much been on extended hiatus ever since I was in high school, during which time singer Chris Cornell put out a couple solo records (in addition to working with three-quarters of Rage Against the Machine as Audioslave), bassist Ben Shepherd and drummer Matt Cameron formed Wellwater Conspiracy (while Cameron also served as a member of Pearl Jam — by far the longest-tenured drummer in that band’s Spın̈al Tap-esque revolving door at that position), and guitarist Kim Thayil occasionally popped up with guest appearances but otherwise kept a generally low profile. However, the quartet emerged from the woodwork a little over two years ago, playing various shows all over the world. And now they are announcing that their sixth full-length will be available in just about two months. I doubt there’s anyone reading this who isn’t already familiar with Soundgarden, but just in case your only exposure happens to be the small handful of maddeningly-overplayed singles (for example, “Black Hole Sun”) that constantly grace the airwaves, you really owe it to yourself to dig deeper into their discography — over the course of a decade or so, these guys put out some incredible albums that never faltered in quality. From their earliest singles like “Flower” or “Loud Love” up through the gems from the Down on the Upside album (“Pretty Noose” or “Ty Cobb”, to name a few) in the late ’90s, there really aren’t any weak spots or low points in the band’s career.